“Who threw the ball?” you wonder and focus on yelling at the child when you should be checking the new dent on your garage door. How many dents can you count? You take your anger out on your careless child (and for a good reason), but you exhaust all your energy on him and not on fixing the dents. That's why you count so many of them on the door. Once your anger is expressed, you take a look at the dent and regret for screaming at your child. After all, this is just a tiny dent. How bad can it be? 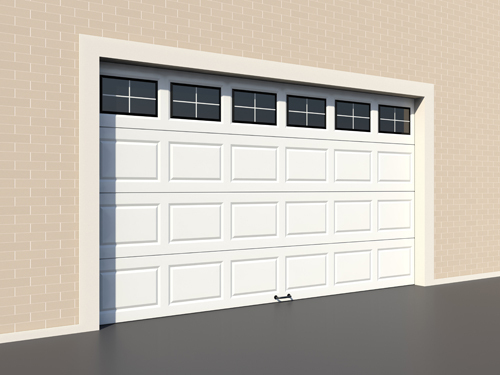 Garage Door Repair West University Place assures you that dents are not good. We are not trying to scare you, but simply explain why you should take measures to avoid dents in the first place (send the boys to play at the back yard) and also why they are not good for the system. Take a look! If you have aluminum overhead doors, you are in bad luck. Aluminum is dented easily and soon the door will look bad and might also need replacement (definitely send the boys to the back yard). Do you have doors of different materials? Don't relax just yet! Steel and wood get damaged, too. Perhaps not as easily as aluminum, but they get dented as well. After all, your child's ball is not the only object which might hurt the door. It could be your car or another heavy object. The point is that dented doors tend to get old sooner. Dents do not only create bumps and uneven lines and points on the door. The object fallen on the door might scratch the area or the paint might be peeled off. In either of these cases, the door will start accumulating damage on the inside. Wooden ones will rot and steel ones will erode. If there are high bumps, the door might bind at certain points. As strange as it might sound, dented garage door parts cause worse damage and problems. The most usual part we all bump into is the tracks. Turning the wheel a bit more on the right and you hit the track. It's not hard to do (don't try it). Do you know how many problems are caused due to damaged garage door tracks? The door won't move the right way because the rollers will bump in the dents and bent points. Apart from the noise, you might be dealing with a jammed door. Another part we often hit is the sensors and this will clearly mean that our basic safety features will not protect us. It's simple! Watch out! 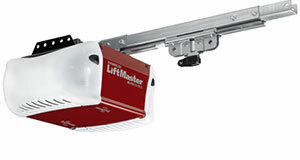 Even if you hit the tracks or the garage door opener sensors, make sure they are fixed. How often do you hear: align the sensors, check the reverse system, align the sensors, check the reverse system….It's good to check all parts and the door occasionally because we don't always understand that we have hit and misdirected the components. By checking often, problems and accidents will be prevented.